Walk through town, definetly through Drosselgasse, go into any shops, restaurants and bars that feel good to you. Eventually you will come by the cable car station. It’s almost in the middle of the town, a bit up the hill. Get a one-way ticket (it’s 5 Euros) and get on. 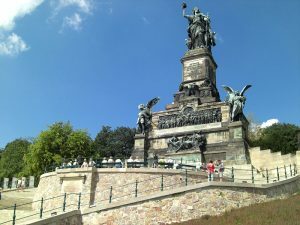 You will enjoy a beautiful and unforgetable ride up to the statue of Germania. Once you’ve arrived and left the cable car station it’s a short walk to the memorable monument. Enjoy the great view from up here, maybe get some refreshments. 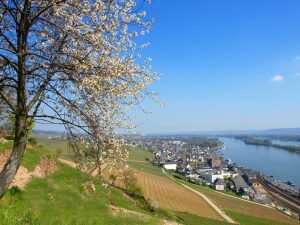 Once you’re ready, walk passed the monument, parallel to the Rhine river and follow the path through the forest to Assmannshausen. You will pass by the Hotel Jagdschloss Niederwald – if you feel like it, sit down and have a snack and some refreshments, It’s a nice place to rest for a while. From there it’s only a few minutes walk to the the cable car station of Assmannshausen. Depending on how fit you are and what your plans are for the rest of the day – decide now wether to walk down to Assmannshausen or take the cable car. The walk will lead you through a bit of forest, it’s all downhill, fun to walk but not much view. 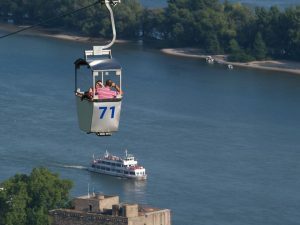 The cable car ride is spectacular, quite steep and with a view of the Rhine almost for the entire ride. 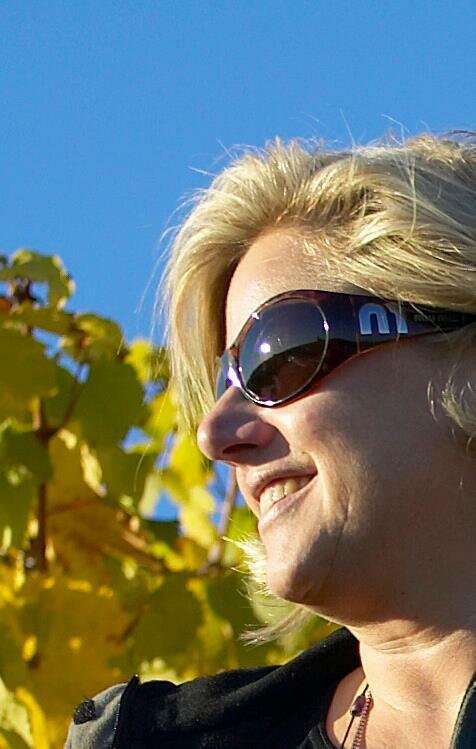 Whatever you do – enjoy your way down. Once you’ve accomplished that, take a quick walk around the town of Assmannshausen. There’s not very much much to see, but nice places to sit, have a drink or lunch. 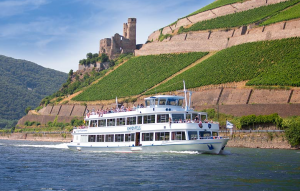 You will then take the boat back to Ruedesheim. The cable car station on top of the hill of Assmannshausen will be able to provide information at what time the next boat will leave. Of course you can prepare in advance and get all the information you need on the internet.